Upper Tonto Creek campground is first-come, first-serve and has 9 campsites located next to Tonot an Horton creeks. The campground has vault toilets and water. Each campsite also has a table, lantern post, fire ring and grill. It’s a popular campground for those wanting to escape the desert heat and explore the Mogollon Rim area. Outdoor recreation includes hiking, mountain biking, fishing, horseback riding and picnicking, Wildlife viewing is also nice in the area. The Tonto Fish Hatchery is 4 miles north on Highway 260 on Forest Road 289. Self-guided tours are available at the hatchery. Other campgrounds in the area include Christopher Creek, Sharp Creek and Ponderosa. Visted Upper Tonto Creek Campground lately? We'd love to hear about your adventure. Did you find us useful? Did we forget something? 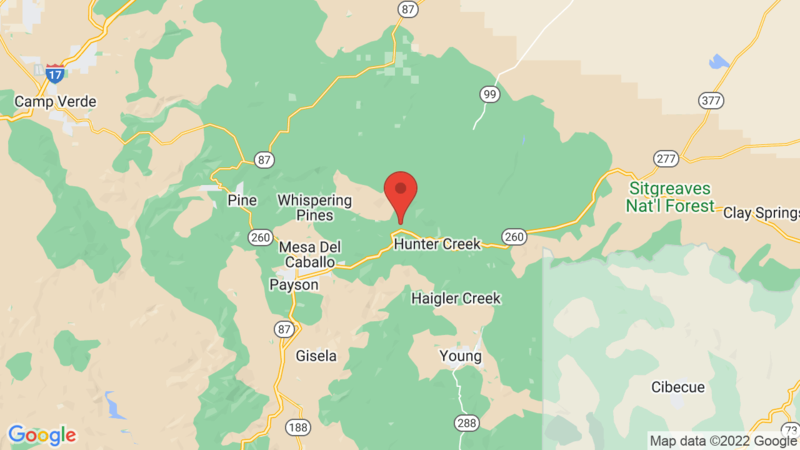 Anything our community should know before heading out to Upper Tonto Creek? I gave the campsite 1 star because I wasn’t able to actually stay there! Its a small campground close to the Horton creek trailhead and very quiet. However, we arrived at 12 noon on May 29 to find one open spot #9. We checked the tag on the tree and the space had been paid for thru 5/30. However, the spot was empty, so we checked with the campers in the next spot and they confirmed the previous campers had packed up and left. So at 12:30 we paid our fee (which ended up being $16 for the night and the website says $8) dropped the payment in the box and attached the receipt to the tree. Set up camp and went for a hike. When we returned at 5pm the host told us she didn’t receive payment so gave up the spot to someone else! The receipt was on the tree in which she removed and then gave us our payment back from the box! Needless to say, we packed up our stuff and left. Not a good way to run a site. We thought we did everything right and somehow got booted from our site. very disappointing.